Jon Paul's best friend growing up came to visit us in December. James Lester is like a brother to Jon Paul. 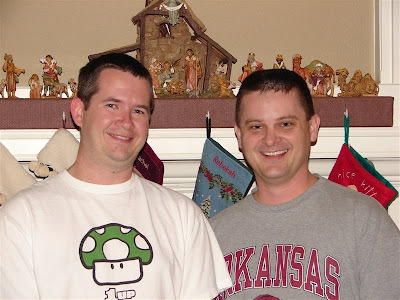 We were so excited when James contacted us to say he was going to be in Arkansas over Christmas and wanted to come see us and our new house. We haven't seen James years. I don't think he had ever seen Rebekah. So, it was good to see him and visit and catch up on everything. James, his wife and son live in Virginia where James is in the Navy. We all miss you James and hope to see you again soon!